Jamey Stegmaier is a big fan of Castles of Mad King Ludwig and today he announced that Stonemaier Games is publishing a Between Two Cities and Castles of Mad King Ludwig cross-over called Between Two Castles of Mad King Ludwig! Designed by Ben Rosset and Matthew O’Malley, Between Two Castles of Mad King Ludwig, uses the “Between Two” mechanic of tile-drafting where you work with the player on your left to design one castle, as well as with the player on your right on different castle. At the end of the game all castles are scored and the player who has the highest scoring castle wins. The tiles are beautifully illustrated by artists Agnieszka Dabrowiecka, Laura Bevon, and Barlomiej Kordowski. According to Jamey, via his Facebook live chat, the game will have a bunch of Easter Eggs hidden in the art of the tiles such as the famous Seinfeld painting “The Kramer” and copies of other Stonemaier in the rooms so keep your eyes peeled for fun references when you get your hands on the game. 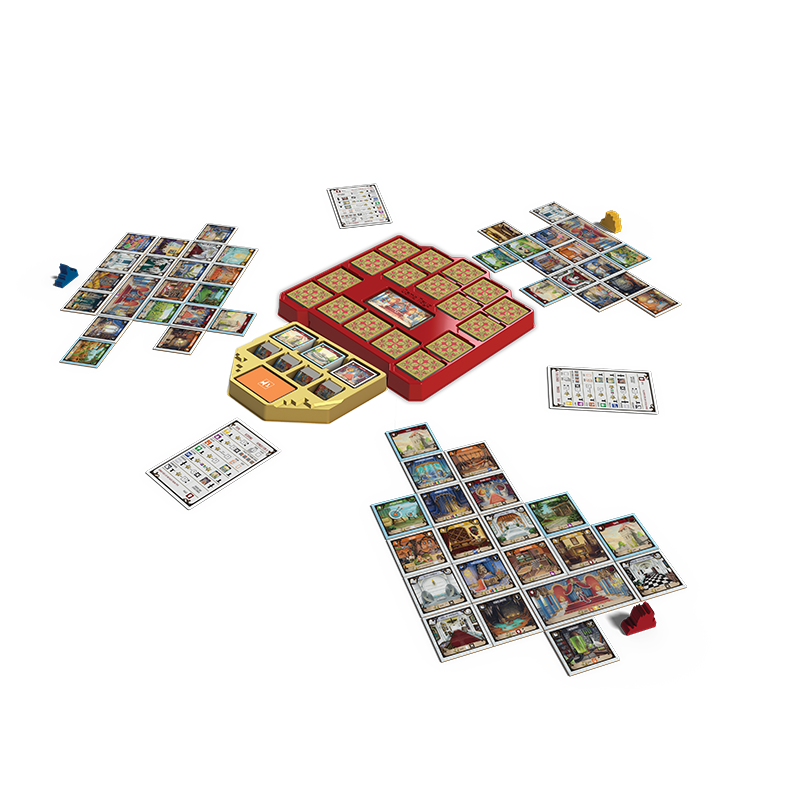 Between Two Castles of Mad King Ludwig also comes with high-quality bits like custom wooden castle tokens, a double-sided scorepad, and a 4-piece Game Trayz insert that makes it easy to set-up your game and keeps everything organized. 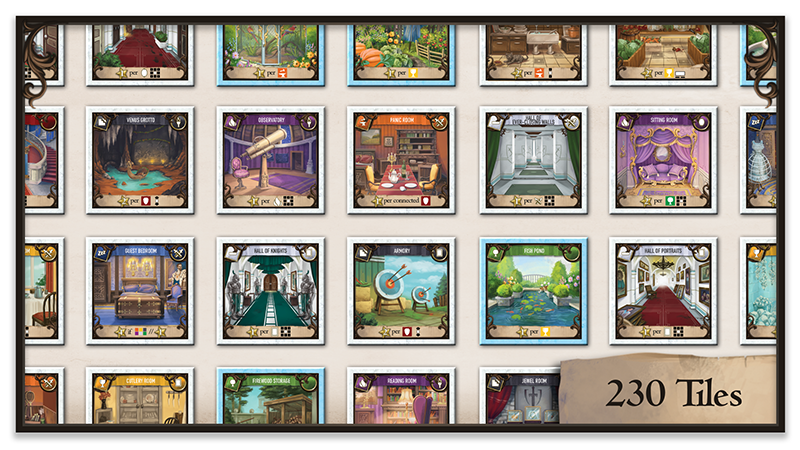 You can pre-order Between Two Castles of Mad King Ludwig on the Stonemaier website now. According to Stonemaier: If you pre-order it as Champion (the Stonemaier Subscription program) by September 6, you’ll get the game in mid-September (make sure to log into Shopify to get a discount, and use the promo code in the name of the Champion listing). All European and Canadian pre-orders placed by September 6 will have EU-friendly/Canada-friendly shipping. You can also pre-order English copies of the game for Essen pickup from Bezier Games. Previous Post:Announcing Our New Job Board Page!